Surely you remember the first time you recorded your own voice. Upon listening back, you must have been shocked to sound so different. You were probably in disbelief that such a strange voice like that could belong to you. Once you got over the shock, though, you came to a realization: your voice sounds different to you than it does to everyone else. This same concept is true for an instrument. The way you hear the sound from behind your instrument isn't the same sound a listener hears. You may think that you're producing a certain effect on your instrument, and perhaps you can even feel it happening. But when you listen back to a recording, it's not there. This is why recording can be so beneficial. It helps reveal aspects of yourself and your playing that you may not have known beforehand. If a certain action wasn't producing the desired result, you'd want to know, right? The microphone is brutally honest, and while this may seem terrifying at first, it's a great way to improve upon your craft. If there's a missed note, deranged chord progression, or rhythmic error out there, a recording will capture it. If you want to get serious about playing, recording yourself will help take you to the next level and help to define your voice. Besides unveiling your weaknesses, recording your practices gives you an audio timeline of your playing. It's always helpful to listen back to old recordings and see how far you've come. It can be a great source of motivation, but you can't tap into that motivation unless you get a microphone in the first place. You don't need to break the bank to get a quality recording device. In some cases, you don't even need a recording device at all. Here are a few affordable examples to get you started. In 2016, it's safe to say that you either have a smartphone/tablet or know someone who does. If that's the case, then congratulations, you now have access to a bare-bones microphone. Don't expect to record the next Dark Side of the Moon on your smartphone, but the sound quality is actually better than you think. There are plenty of options for free recording apps on both iOS and Android. If you want to pitch in a couple of dollars, though, you can find some higher quality apps with more options. This one is for the people who like the convenience of their smartphone but want to take it to the next level. There are some external microphones out there that simply plug into your smartphone and turn it into a high-quality mic. Depending on your budget, there are plenty of options you can look at – prices range from $30 to well over $200. Ask anyone who knows about portable recorders and it's likely they will know about Zoom. Recorders like the Zoom H2n ($160) have many advantages over their smartphone counterpart. They may not be as convenient, portable, or affordable, but with one of these, you'll get a much longer battery life, a higher quality microphone, and the ability to use SD cards. When your capacity is filled, simply swap out the SD card to keep the recording going. Another added benefit of the Zoom H2n is its flexibility. 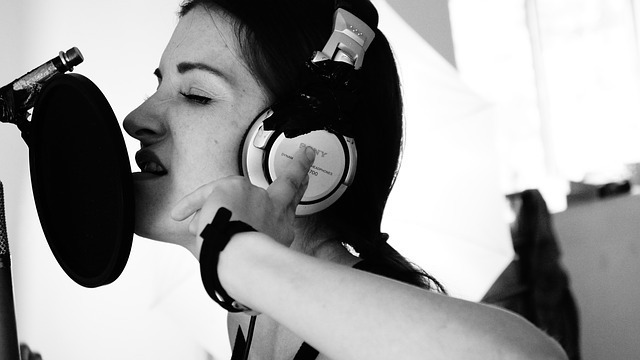 Users can plug into a much wider selection of external mics if they feel the need. That may be unnecessary if you're just practicing by yourself, but it's a good option to have for live performances. For those who have a little more money to spare and want a beast of a microphone, look no further than this Tascam model. For $200, you'll get all the typical features most microphones have, with some added strengths. For one, this Tascam has a dual battery system which gives you some of the longest recording time of any device out there. It also has a 2GB SD card for added space and a wireless remote control so you can start and stop from across the room. There are two sets of microphones included that produce some high audio quality. If you want a sturdy, feature-filled, portable device to record yourself in practice and beyond, it doesn't get much better than the Tascam DR-100mkII.